Sydney Sixers 2-98 (Michael Lumb 43*, Brad Haddin 41, Azeem Rafiq 1-21) beat Yorkshire 9-96 (Joe Root 25, Phil Jaques 21, Mitchell Starc 3-22) by eight wickets. Yorkshire’s batsmen were unable to face the quick bowlers of the rival team and managed just 96 runs after losing nine wickets in the measured 20 overs. Sydney Sixers plundered 98 runs for the loss of just two wickets in 8.5 overs. 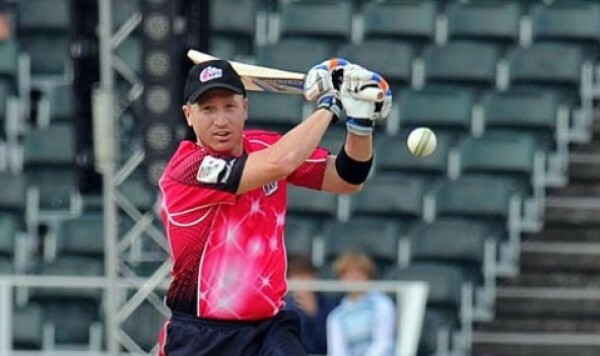 Brad Haddin (Sydney Sixers) was declared ‘Player of the match’ for his devastating knock of 41 off just 21 balls. The Champions League Twenty20- Group B match, was held on Tuesday, October 16, 2012, at Newlands, Cape Town. Andrew Gale, the captain of Yorkshire won the toss, he decided to bat and came in the park to open the innings with Phil Jaques. Jaques gave a flying start to his team by getting 3 fours off Mitchell Starc in the second over. The openers were unable to continue the rhythm and added just 10 runs in the next three overs. Gale was clean bowled by Josh Hazlewood for 8 runs on the fifth ball of the sixth over as the score reached 30. Jaques followed him three balls later for 21 as Joe Root and Adam Lyth tried to stop the invasion of the rival bowlers. Root was the most assertive of the two and gathered 1 six and 3 fours in the next four overs as Lyth was unable to score a single boundary. They took the score to 62 in 12.4 overs when the timber of Joe Root was dislodged by Moises Henriques for 25 off 24 balls. Adam Lyth was gone 16 runs later for 18 as the Sydney Sixers bowlers dominated the game. None of the incoming batsmen entered the double figures as the wickets kept on sliding at regular intervals and Yorkshire was restricted to 9-96 at the end of the 20th over. Mitchell Starc was the highest wicket taker with three, Pat Cummins and Shane Watson held two whereas Josh Hazlewood and Moises Henriques claimed one wicket each. Shane Watson picked up 11 runs in the initial over for Sydney Sixers but lost his wicket on the first ball of the next over as their skipper Brad Haddin joined with Michael Lumb. Haddin preferred to attack and hit 3 fours in the second over and Lumb added another two in the next over. The duo was severe on the Yorkshire bowlers as Haddin punished Ryan Sidebottom for 15 runs with 3 sweetly timed fours. The quick fired fifty of the innings was achieved on the first ball of the fifth over as Lumb hit three back to back boundaries in the same over. The score board jumped to 89 in 8.1 overs as Brad Haddin was caught by Lyth off Azeem Rafiq for 41 from 21 mere deliveries with 8 fours. Michael Lumb hit two consecutive fours in the 9th over as the low target was attained by dispatching 98 runs with eight wickets in hand and 71 balls to spare. Lumb remained unbeaten for 43 off 24 balls with 8 fours forced all around the ground. Sydney Sixers won their second successive game of the tournament with a grand margin of eight wickets. They have collected eight points altogether at a brilliant run rate of +3.140 and currently lead the Group B table.